Roythornes AgriBlog: Manorial rights - should you be worried about them? Manorial rights are one of the more arcane aspects of land law, but that doesn’t mean they can be ignored, particularly with a Land Registry deadline for their registration looming. Before 1926, in addition to freehold land and tenanted land, there was also a form of tenure called copyhold. A copyholder held his rights in land from the lord of the manor and the lord of the manor had certain manorial rights which he could exercise over the land. Some copyhold land was converted into freehold land in the nineteenth and early twentieth century and all remaining copyhold land was automatically enfranchised on 1 January 1926. 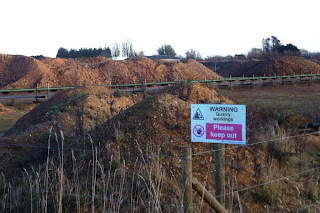 When the land became freehold, certain manorial rights may have been reserved by the lords of the manor, mainly in connection with mines, minerals and sporting activities. At the moment these manorial rights ‘override’ the interests of the landowner, whether or not the landowner is aware of their existence. The Land Registry has made it its mission to close down this kind of gap in the official register by setting a deadline – 13 October 2013 – before which overriding interests such as manorial rights must be registered. If they are not protected at the Land Registry before that date, the rights will lose their ‘overriding’ status. That means they lose their automatic protection. In other words, if someone buys registered land after 12 October 2013 and there is no note on the register protecting manorial rights, the buyer will take free from any such rights that exist. There are two sets of circumstances that demand action. The first is if you believe that you have the benefit of manorial rights. This is not an exercise for the fainthearted and is likely to require persistence. It is not simply a question of writing to the Land Registry with your claim; the Registry will need to see convincing evidence of, for example, your title to the manorial rights claimed and the previous copyhold status of affected land. The starting point may be a deed of enfranchisement that shows a reservation of particular rights in favour of the lord of the manor. The second is if you receive a notification from the Land Registry or someone else who claims that they hold, for example, the rights to the minerals under your land. In the case of the Church Commissioners, we are seeing notices from the Land Registry that the Church has applied to register its ownership of mines and minerals under land held by someone else. In either of these cases, you should take specialist legal advice about your options. In the first instance call your usual contact at Roythornes, or call Julie Robinson on 01775 842618.